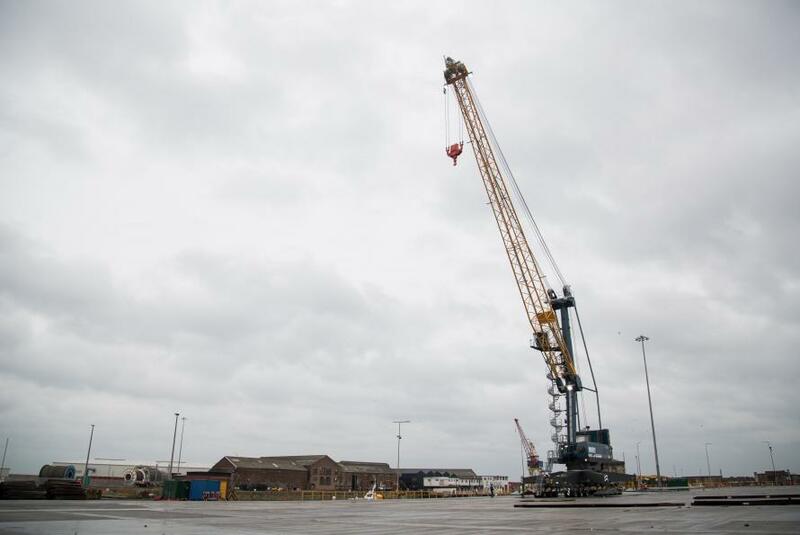 A mobile crane capable of lifting up to 120T will boost the cargo handling capabilities of one of the north-east ports, after recently arriving at the port. Port of Sunderland has taken delivery of a brand new Liebherr LHM 420 - the second of the same kind the port now owns - which will transform its handling capabilities, opening up a new market on the River Wear waters. The crane, which arrived by sea end of last year, is the latest investment agreed by the board to unlock the significant potential that exists at the port. Now with these twin cranes, Port of Sunderland is able to conduct a tandem lift with its own in-house equipment of up to 240T. This means that the two cranes can work together to handle the most demanding of cargo projects. Port Director, Matthew Hunt, said he was delighted with the new arrival. Mr Hunt believes the investment will open up opportunities in emerging markets. Port of Sunderland is owned by Sunderland City Council.